A family of bluebloods made destitute by the depression are scammed into leasing out their yacht and posing as crew to tacky “new money”, one of whom is their former cook. 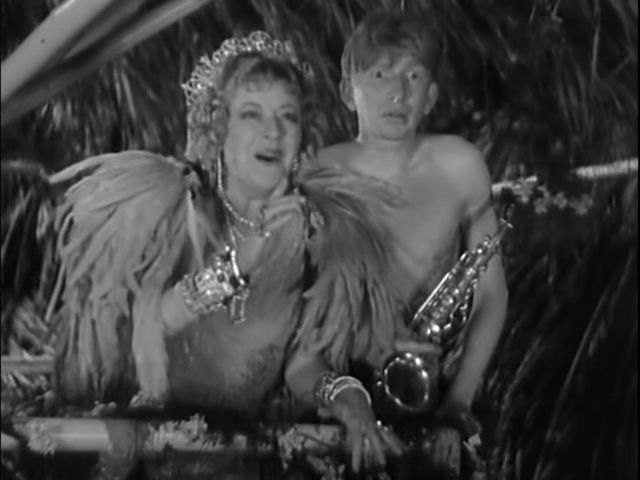 The scam turns out to be a plot by the gruff captain (Ned Sparks, the Walter Matthau of his day) to shipwreck them on a desert island run by a madcap queen (Mary Boland) and escape with their money. Of course, things go afoul as the queen has plans of her own. 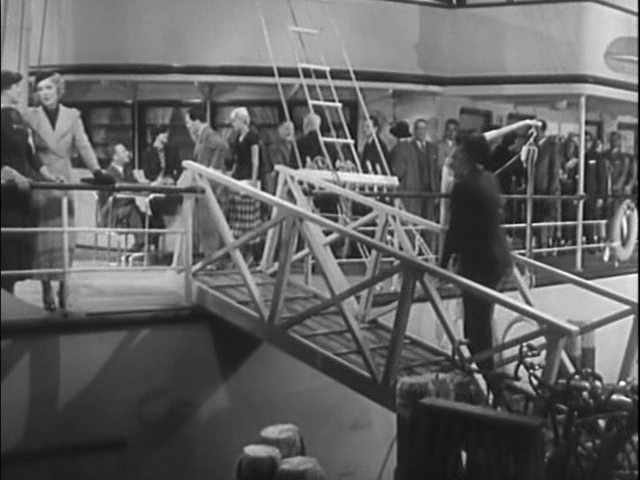 Such is the basic plot of this pre-code comedy with a few musical numbers thrown in for good measure. It was the era of Astaire and Rogers at RKO, and in their other musicals, RKO attempted to give them the gloss of the popular dance team. 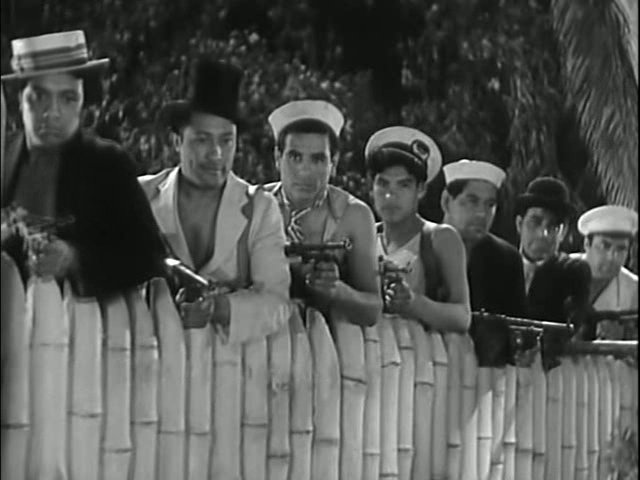 This relatively short film (just over an hour) was a major disaster in its day according to “The Hollywood Musical”, but seen today, it is fairly fun, campy, and a passable timefiller. 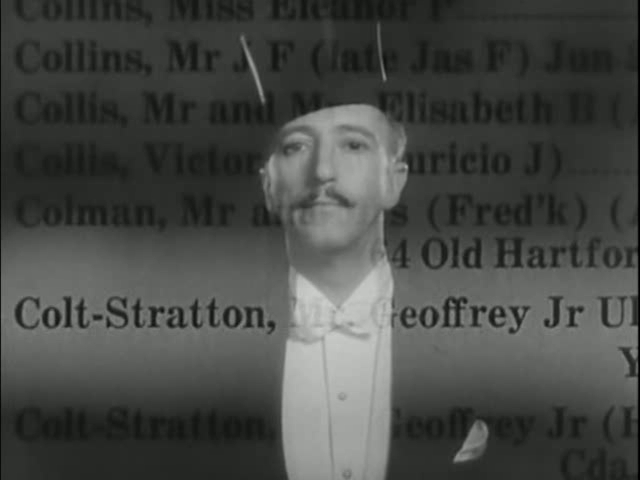 There is nothing remarkable in the songs or numbers (except one production number, “South Sea Bolero”), and the romantic leads (Sidney Fox and Sidney Blackmer) are uninteresting. 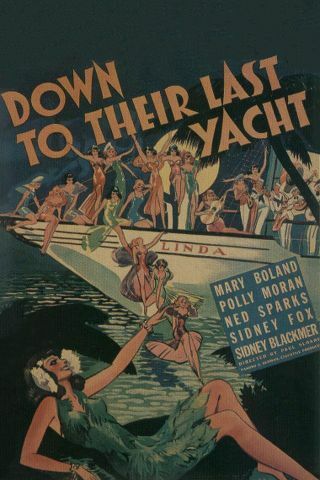 The character parts, however, add humor, especially Spark’s grumpy ship’s captain, Boland’s dizzy queen, and Polly Moran’s butch cruise director. Throw in Sterling Holloway (the voice of Winnie the Pooh), and you have enough humor to make this an adequate second feature. 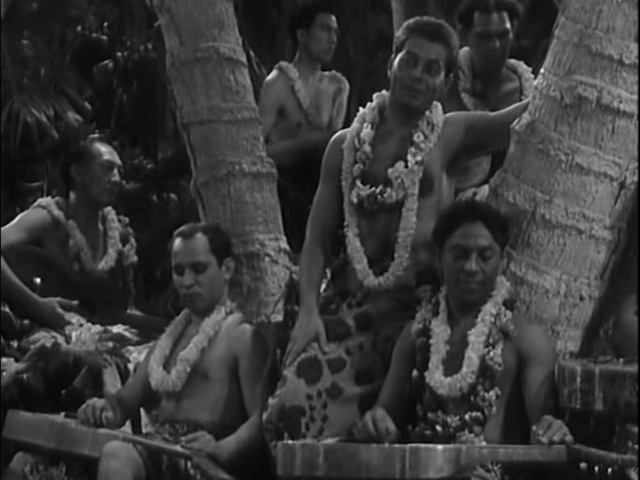 The comic moments (most notably Holloway’s rigging of a roulette table) are enjoyable, but there is a somewhat disturbing portrayal of South Sea Islanders as lazy folks who do nothing but make love all day. There was plenty of eye-raising and “I can’t believe they said that!” among my friends whom I watched this with, but just another example of what Hollywood “used” to be like. I view it as an interesting idea with tacky elements thrown in that make this film a product of its times.